To prove my hypothesis on the security in question of the region, I put on my unplanned trip to CotabatoCity and Maguindanao with the invitation of Muslim friends. The truth is , I braved the city with little fear in my heart, but controlled my troubled psyche and reminded myself that fear was all in the mind. If I let fear succeed, I am making the spirit of terrorism in effect. Unaware of the places to visit in Maguindanao, I just asked my friend Jafaar/Saddam to lead the way and take me to the places he thinks can awe me. Together with other newscasters from DXOL and travel blogger friends, Marky and Lauren, they took us to the Island of Bongo (Limbayan), pronounced as Bong-go, located off coast of the delta of the great Rio Grande de Mindanao or simply known as Mindanao River. 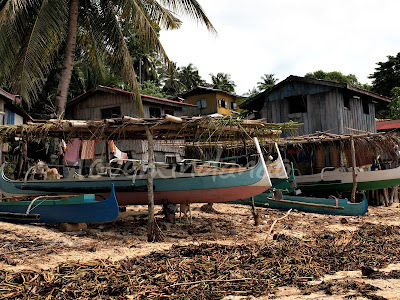 There is a regular single trip of pump boat that caters the transportation means to the secluded community and returns to the city the next day. 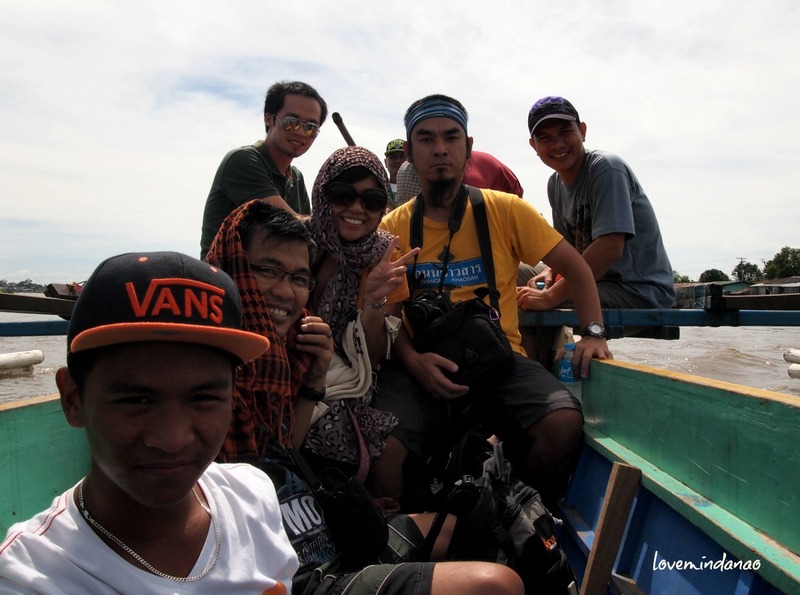 With a boat lent to us by Adnan Biruar (free), assisted by Kagawad Aragasi of Brgy.Bucana, we sailed for more than an hour against the monstrous current of Rio Grande de Mindanao towards the secluded Muslim community. 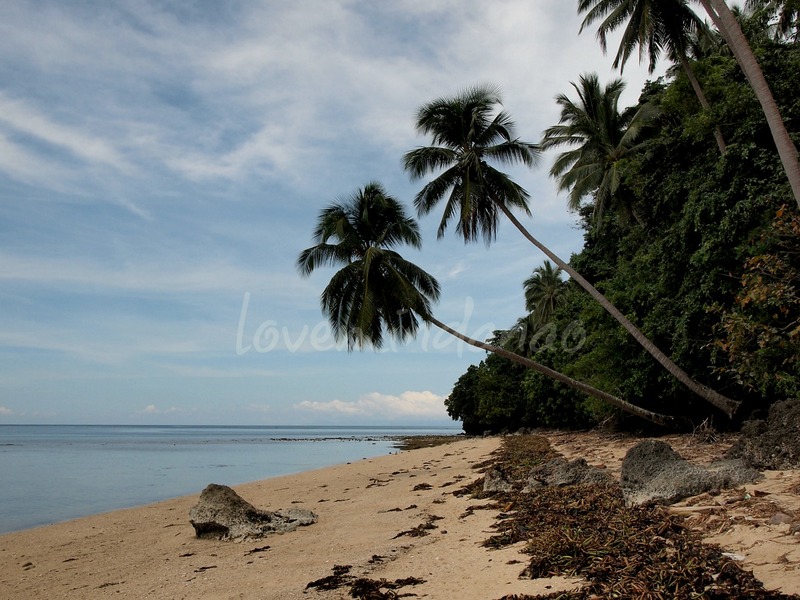 The island is part of the Municipality of Parang, Province of Maguindanao. Cruising the silted and euthropic river reminded me of the lessons I received from the subject Sibika at Kultura back in my elementary days. I have only wished of seeing the second longest river in the Philippines. The Rio Grande de Mindanao has a total length of 373 km, heads from the south of Gingoog City, Misamis Oriental and exits to the Moro Gulf that splits into two parallel sections, Cotabato and Tamentaka. 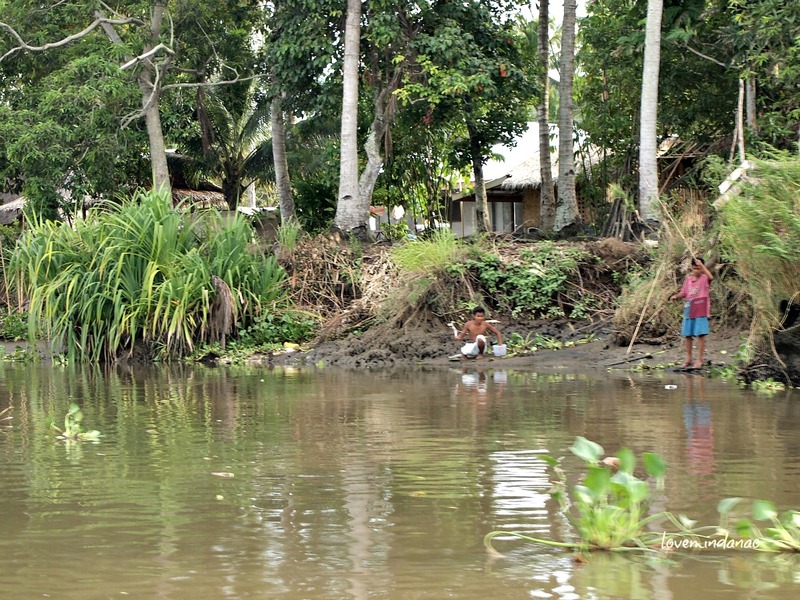 Much of the riparian community banks on the shore as they still depend conventionally on the resources that can be extracted from the ginormous water body. It serves as the bathing water, laundry and dish washing and fishing area as their source of main livelihood. Upon reaching Limbayan, my ultimate expectation was dethroned about the retarded development of the secluded Muslim community. The people were not in the usual traditional attire, as many individuals, especially children were trying to fit on any available garments available. 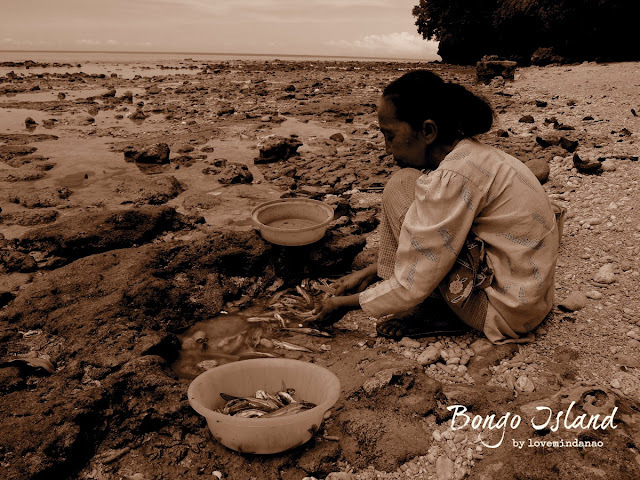 Most of the men were fishermen and the women if none, were seldom wearing the traditional ‘shayla’ . Their homes reflect the simplicity of life in the island. There were no comfort rooms and fresh water is scarce. 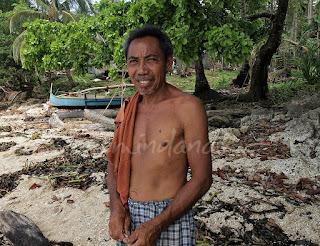 According to a local, their community have existed since the very first dwellers of the islands, hundreds of years ago. Some may say they are the epitome of poverty, but seeing all the natural resources around them, I say, they are one of the richest communities in the region. Looking at the coastal area of Limbayan in Bongo Island gave me satisfying view with their long stretched white coral sand beach. 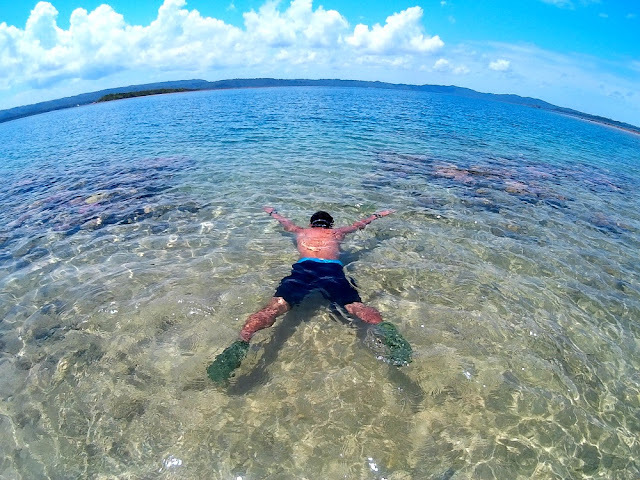 The coastal habitat is rich in biodiversity as marine resources ranging from beautiful coral formations; sea grass community that extends more or less half a kilometer, serving as the primary shelter of fishes and other colorful marine organisms in the locality. 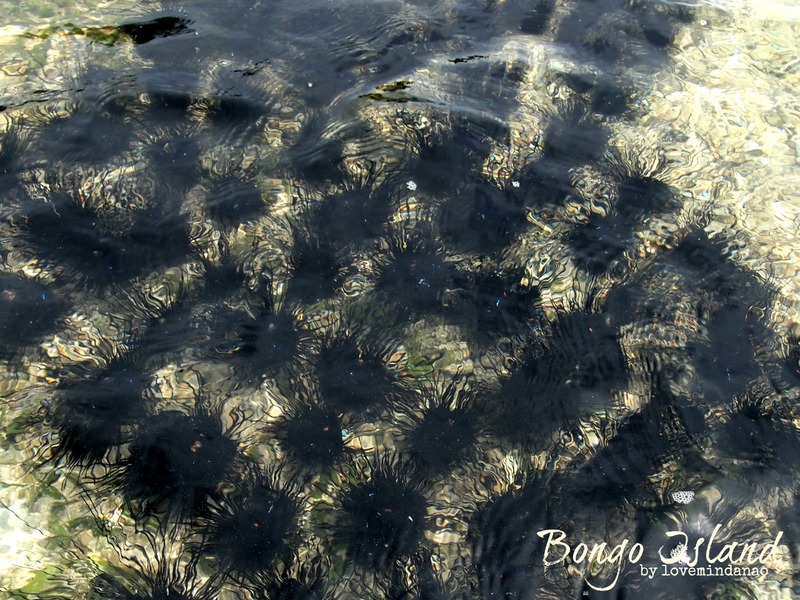 Hundreds of black sea urchins dwelling in colony also infested the undisturbed area. These sea urchins are the source of the favorite Japanese aphrodisiac “oni”. There were also different sightings of starfish and shells that were in a hurry escaping from our sight. A local even told us that the shore is also a favorite egg laying ground of giant Pawikan or marine turtles. At the end of the beach, a small system of cave greeted us. With the small mouth located on a peculiar side, we entered and wandered trying to discover what's within. We find not much other than the piled up water hyacinth and some newly forming stalactites on the roof of the cave. According a local there are still other hidden chambers within. 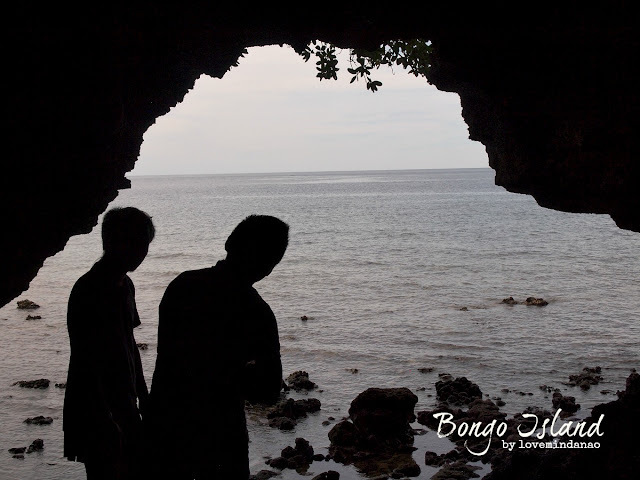 Though, we did not explore much of the inner part, we feel that the cave is the sole mute witness to the history of the island. We call it the Limbayan Cave. The pristine shore of Limbayan is generally encroached by thousands of dead water hyacinth coming from Rio Grande de Mindanao. If maintained, the beach of Limbayan could actually set as another major site of attractions for the general tourists and travelers in the Philippines and those coming from abroad. Returning to our boat, I saw the wondering faces of the locals looking at us, as if they weren't sure of the reason why some people would actually visit their remote area that is far from the usual tourist destinations. I had the feeling that they were a little threatened with our presence as if we were conquerors that landed on their ancestral land. Given with their current situation, if true invaders came in, they could be easily put down as they got nothing on their hands except paddles for their boats and a bolo used for copra collection. The settlers are vulnerable and in fact in the mercy of their Allah for their daily survival, and I don’t see any alarm why people should fear Maguindanao. This goes to my usual statement that "I fear more the people of Manila than I fear my neighbors in Mindanao." In fact it is “them” who are afraid of the encroachment of the “civilized” non-Mindanaon people that might endanger and misunderstood their culture and traditions that have been running and being preserved since the settlement of the original moros in the area. 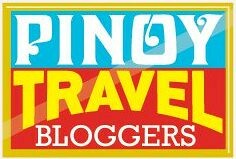 This place is surely a recommended site if you wish to know truth about the "feared" Maguindanao province. I would like to give my sincerest appreciation to the participants of this trip, the crew and staff of DXOL Radio Station, Jafaar, the ever famous and Mr. congeniality Sir Sam, Jun the videographer, DJ Manoy, Kagawad Aragasi and Adnan Biruar for the boat and to Marky and Lauren who got tagged without any warning. Great selection of photographs to go along with the detailed narrative. I couldn't write any better than this. But I'm glad me and Lauren were part of this trip. Thanks to you and your (and now, ours also) Muslim friends who took us there. This was quite an adventure and the Mindanao safety notion should slowly be removed from the country's mentality. There really is a stigma which cannot be denied. People just need to scratch beneath the surface to unravel the real Mindanao. It's a place with a rich culture and interesting people. The usual misconception about the people of Mindanao has prevented many from discovering the beauty that lies beneath the image. What a nice peaceful place. You indeed travel a lot and seeing a lot of Philippines' hidden wonders of nature. I am from Mindanao and I always get the comment of the dangers in Mindanao from friends/acquaintances from other parts of the country. I am glad you are showing the other side of the island and hoping others will follow suit as well, not only to show the beautiful places but also showing the real situation of those hidden islands and its people. This PARANOIA is the very reason why this place is still a virgin in terms of tourists, local and foreign. But, it's a blessing in disguise because its enchanting wonders are never been touched and consumed. It's being well-preserved though. Thank you for posting this and showing tot he people that there's beauty behind those bad information we receive about Mindanao. What an interesting and educational travel you have in here. I never went that far but, I went as to Lanao del Sur and Lanao del Norte. It was pretty scary at that time though because we have no local companion with us. The place is gorgeous and I saw almost similar images as what you have in the pictures above. Some are friendly and others have questions in their eyes. This inspires me to get to that destination and also share my experience. Hey, I'd like to meet the starfishes as well! Wahaha. the photos looks incrediblr clear and amazing.. I am amazed how this people far from the urban we're in now is living so different way. Its like your back from the past. amazing cave too! Awesome starfish, I haven't seen some of those. The blue one is kinda interesting. I hear that mention of fear in Manila quite a bit from my friends based in Mindanao. Interesting contrast, isn't it? Once I've been to Cotobato City and I find it very strange travelling around Maguindanao. I'm a bit paranoid and uncomfortable at first. Those sea urchins. Good thing about this island is that it is well preserved. I love the clear waters. Is this place good for snorkling? Tamentaka should have been Tamontaka. Great article you got there... and pictures too! Kudos!